I had a powerful sense of déjà vu yesterday as I read this weekend’s Financial Times. As the news section described the world economy’s recent nose-dive and entry into Phase Five of the early twenty-first century’s Great Depression, the FT’s monthly magazine How to spend it blithely informed its readers that ‘Homes are constantly borrowing bright ideas from luxury hotels.’ And went on to recommend the installation of architect-designed pool houses – which tend to go for around £3,000 per square metre. Printed on glossy, A3-sized sheets of paper, it describes trends in the art market and fashion world; which yacht is de rigeur this season; where best to order bespoke jewellery; and whether or not it’s worth hiring a private chef. 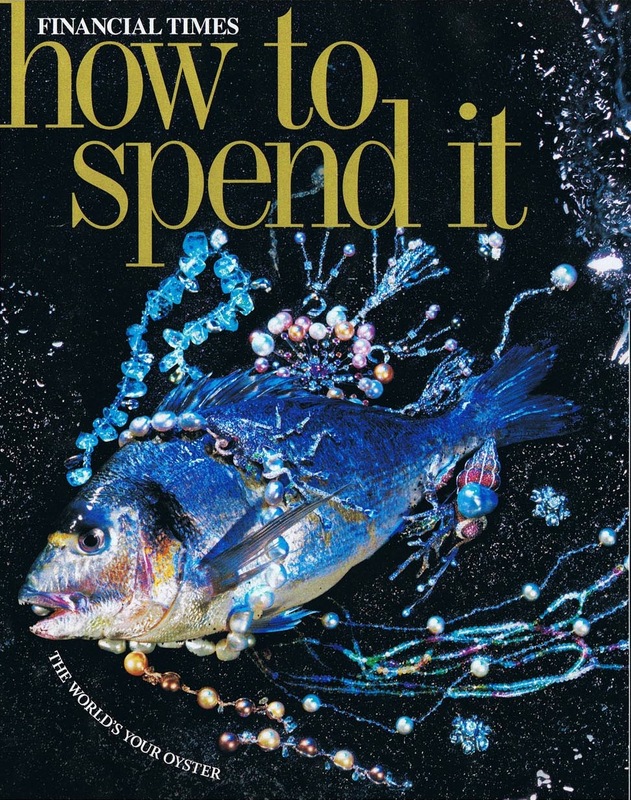 How to spend it is a celebration not of money – that would be vulgar – but, rather, of luxury. In this week’s edition, Terence Conran comments in an article about his perfect weekend (which features his routine in his Georgian manor, designing furniture, and resting by his specially-altered river), that ‘luxury usually means simplicity, or easy living, rather than things that cost a lot of money.’ That Conran’s description of luxury as costing nothing is in a magazine which devotes itself to the top-end, exclusive, and incredibly expensive, is a pleasing irony. But it did make me think about how we define luxury, and particularly as regards food. 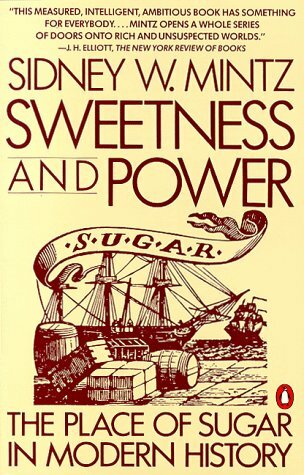 In his landmark study Sweetness and Power: The Place of Sugar in Modern History (1985), the anthropologist Sidney Mintz traces how in Britain, sugar shifted from being a luxury available only to the very wealthy, to being an affordable commodity for most people by the early nineteenth century. Yet despite this – despite the fact that sugar was cheap and consumed in large quantities by the British population, and particularly by the poor – it was still seen as a treat. It became an affordable or everyday luxury. It was the increasing popularity and cheapness of sugar – and it gradually replaced honey as the world’s sweetener of choice – which caused the democratisation of a range of other products, and chiefly chocolate, tea, and coffee. Chocolate, once associated with ritual and celebration in pre-Columbian Mexico, was introduced as a beverage to Spain in 1527, but only took off In Europe once sugar was added to it. It became popular among the aristocracy, partly because it tasted delicious but also as a result of its supposed medicinal qualities. It became widely available at the end of the eighteenth century when imports increased and the production of solid chocolate was industrialised. Similarly, coffee arrived in Europe via Turkey – cafes were opened in Constantinople from 1554, and the first coffee house in Paris was established in 1672 – and more efficient production, bigger imports, and the relatively new idea of sweetening coffee with sugar meant that it was popular throughout the continent by the 1700s. Tea was introduced to Britain by Catherine of Braganza, Charles II’s Portuguese wife, but it was only when someone discovered that stirring sugar into it made it less bitter, that it gained a bigger audience among the middle and upper classes. It was heavily promoted by the financially shaky East India Company, and also by the British government in the mid-eighteenth century as an alternative to alcohol. A drop in the tea price in 1784 caused the spike in British tea drinking: between 1801 and 1810, 12,000 tons of tea was drunk annually in Britain. By 1890, that soared to almost 90,000 tons. All of these affordable luxuries – tea, sugar, coffee, and chocolate – were popularised because innovations in technology and higher yields abroad made it possible for prices to fall at home. What revolutionised the cultivation the crops was the fact that they could be grown successfully all over the world – tea was taken from south-east Asia to east Africa, coffee from Ethiopia to south-east Asia and Brazil, and chocolate from central America to west Africa and south-east Asia – and in vast plantations. It’s little wonder that colonialism is so closely associated with the production of all of these commodities, and particularly with sugar. Not only were imperial powers, most notably the Dutch, Portuguese, and British, responsible for globalising the cultivation of these crops, but they put slaves to work on tea, coffee, and sugar plantations. The plantation system of farming – in which a single crop is farmed over a vast area – is labour intensive, and European colonisers worked their slaves, literally, to death. The expression ‘to break bread together’ now has an archaic feel to it. A proximate contemporary substitute, albeit devoid of the powerful religious significance of bread, is to ‘go out for a cup of coffee’, which is at least as much about conversation as it is about nourishment per se. Historians associate this total reorientation of the culture of food and drink with the substitution of coffeehouses for taverns; the wider dissemination of public news; trading on the stock exchange; … new arrangements of domestic and public space; [and] the ability to sustain new industrial work schedules despite their tedium…. American slave-worked plantations and mechanical wizardry for pumping water, smelting metals, and powering textile factories…may seem unconnected. Certainly we have been loath to link slavery to the contributions of a free enterprise system, but they must be recognised as twin responses to the capitalist genie that had escaped the lamp of tradition during the seventeenth century. Both represented radical departures from previous practices. [A] large body of domestic consumers fuelled England’s commercial expansion and a richly elaborated material culture dependent upon the market. … New attachments to objects, a raging delight in novelties, and the pleasures of urban sociability bespoke a deep engagement with the material world that made spending seem more beneficial to the economy than did parsimony. As Appleby implies, consumerism links a desire for things with the construction of identities. Sugar, coffee, chocolate, and tea were the first foodstuffs to be transformed into consumer goods. By no means essential to our diets, demand for them was driven by factors other than hunger: people bought them in the eighteenth and nineteenth centuries because, even though they were cheap, they represented luxury and comfort. Food has always signified more than simply nutrition, but it’s been implicated in the rise of a consumerist society since the eighteenth century. This means that not only do consumers attach a range of new meanings to the food that we buy – we purchase food not only because we need to eat, but because of how we construct our identities as consumers of goods – but consumer demand drives the production of food. It’s for this reason that efforts to reform eating habits – either to combat lifestyle-related diseases or, indeed, to produce a more sustainable food system – have to deal with the fact that we approach food as consumers operating within a global food system. Joyce Appleby, The Relentless Revolution: A History of Capitalism (New York: WW Norton,  2011). Anne EC McCants, ‘Poor consumers as global consumers: The Diffusion of Tea and Coffee Drinking in the Eighteenth Century,’ Economic History Review, vol. 61 (2008), pp. 172-200. Sidney W. Mintz, Tasting Food, Tasting Freedom (Boston: Beacon Press, 1996). Judith A. Carney, Black Rice: The African Origins of Rice Cultivation in the Americas (Cambridge: Harvard University Press, 2001). E.M. Collingham, Imperial Bodies: The Physical Experience of the Raj, c.1800-1947 (Cambridge: Polity Press, 2001). Alain Huertz de Lemps, ‘Colonial Beverages and the Consumption of Sugar,’ in Food: A Culinary History from Antiquity to the Present, eds. Jean-Louis Flandrin and Massimo Montanari, English ed. by Albert Sonnenfeld (New York: Columbia University Press, 1999), pp. 383-393. Kenneth K. Kiple and Virginia Himmelsteib King, Another Dimension to the Black Diaspora: Diet, Disease, and Racism (Cambridge: Cambridge University Press, 1981). Sidney W. Mintz, ‘Sweet, Salt, and the Language of Love,’ MLN, vol. 106, no. 4, French Issue: Cultural Representations of Food (Sep., 1991), pp. 852-860. Frank Trentmann, ‘Beyond Consumerism: New Historical Perspectives on Consumption,’ Journal of Contemporary History, vol. 39, no. 3 (Jul., 2004), pp. 373-401. Frank Trentmann, ‘Materiality in the Future of History: Things, Practices, and Politics,’ Journal of British Studies, vol. 48, no. 2 (April 2009), pp. 283-307. Marijke van der Veen, ‘When Is Food a Luxury?’ World Archaeology, vol. 34, no. 3, Luxury Foods (Feb., 2003), pp. 405-427.